Hello friends!! I am here with a new card. 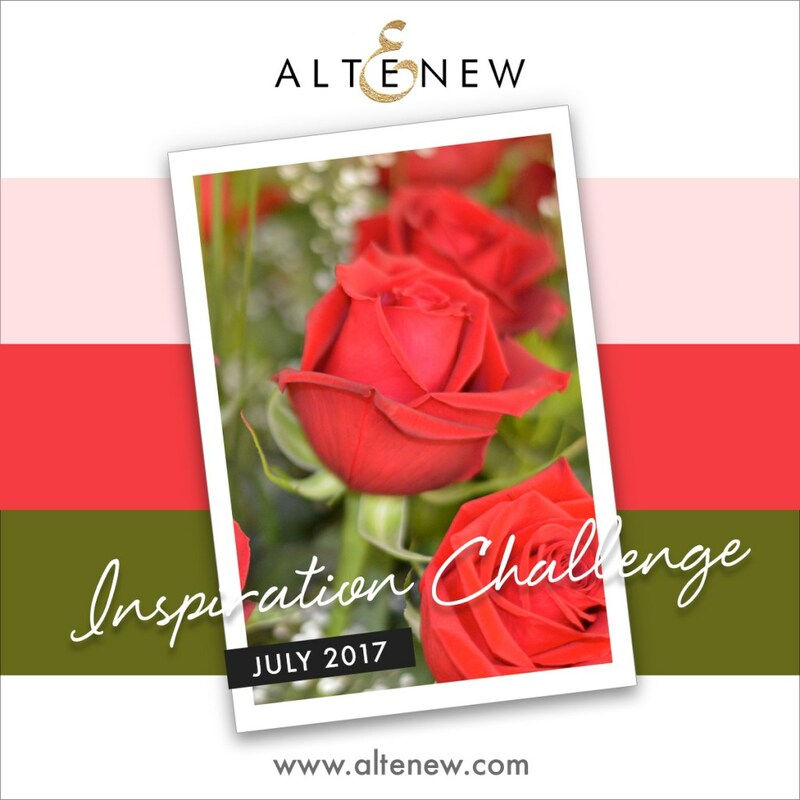 Love the very traditional color combination of the current Altenew Monthly Challenge. I always love the color combination of green and red, they look so festive!! 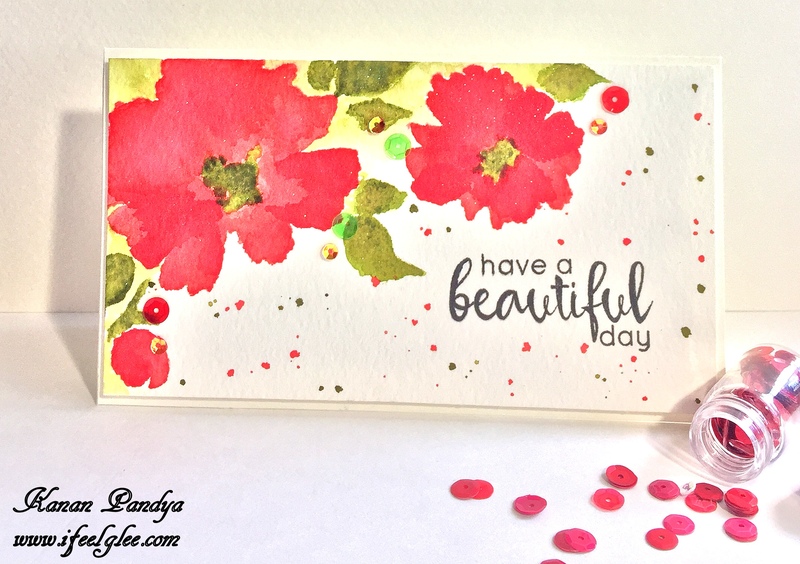 For this card again, I used one of my favorite stamp set “Watercolor Wonders” by Altenew. I used “Barn Doors” Distress ink for flowers and stamped the first layer directly on the watercolor panel and went over with a wet brush and highlighted some of the area with more or less color. Took the same color for the second layer but this time I sprayed some water using a spray bottle after inking the stamp and then stamped it, I got more saturated look. Did same with rest of the flowers and leaves (For leaves used “Peeled Paints“Distress ink). Added some splatters using the same inks. The Sentiment is from the “Floral Frames” set. Lastly, added some sequins, and “Wink of Stella” glitter pen on flowers and adhered the whole panel on a card base. I really love how it turned out, I can never get enough of this stamp set. Hope you will like my card. Bright, bold and totally beautiful! This is gorgeous! Thanks for blessing us with your creation at Word Art Wednesday. Please join us again in our current challenge. Leaving you with the inspiration of God’s Word in Philippians 1:6 which says, “For I am confident of this, that He who began a good work in you will continue to perfect it until the day of Christ Jesus.” Have a blessed day! If you like my work, a little bit of motivation ($$$ ) would go a long way in helping further develop my talent. Thank you in advance for your gesture. Virginia L. on Love & Hugs!! 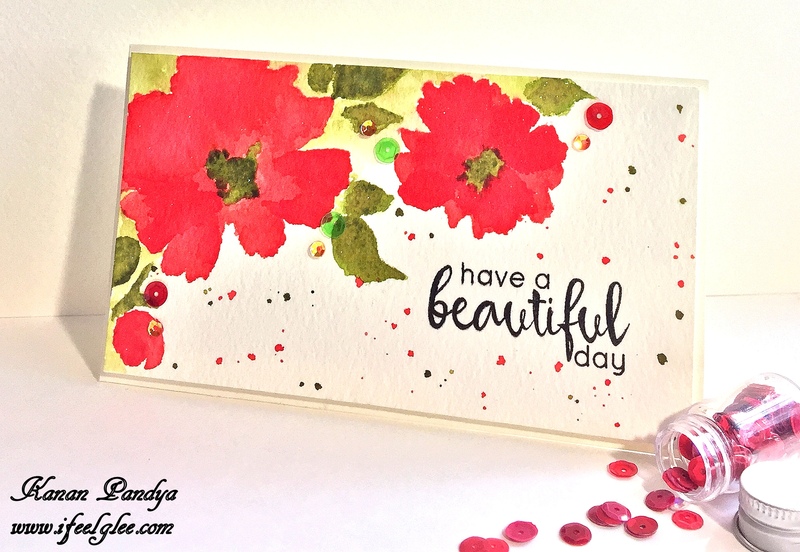 Cornelia (fun stamping) on Happy Birthday!! Hello Sunshine!! – ifeelglee on Hello Beautiful!! All contents on this website are licensed under a Creative Commons Attribution-NonCommercial-NoDerivs 3.0 Unported License unless otherwise specified and work credited to their respective authors / creators.